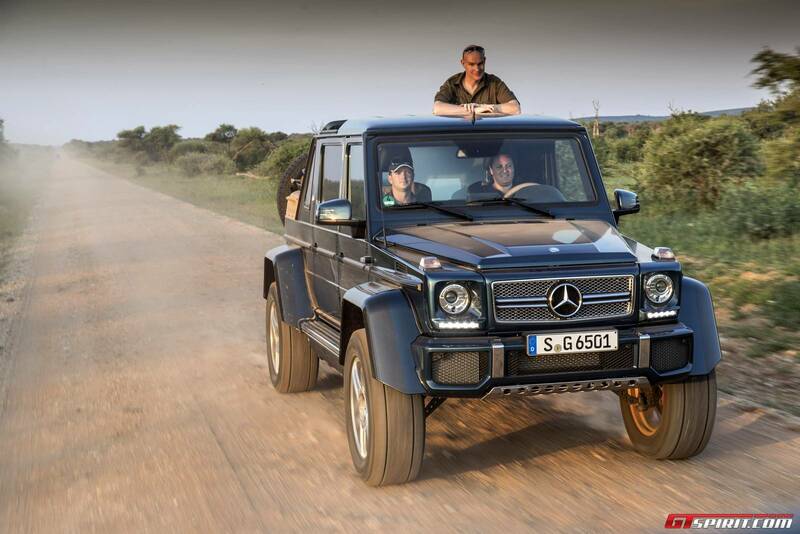 Well into its 38th year, the Mercedes-Benz G-Wagen is more successful than ever. 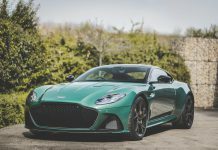 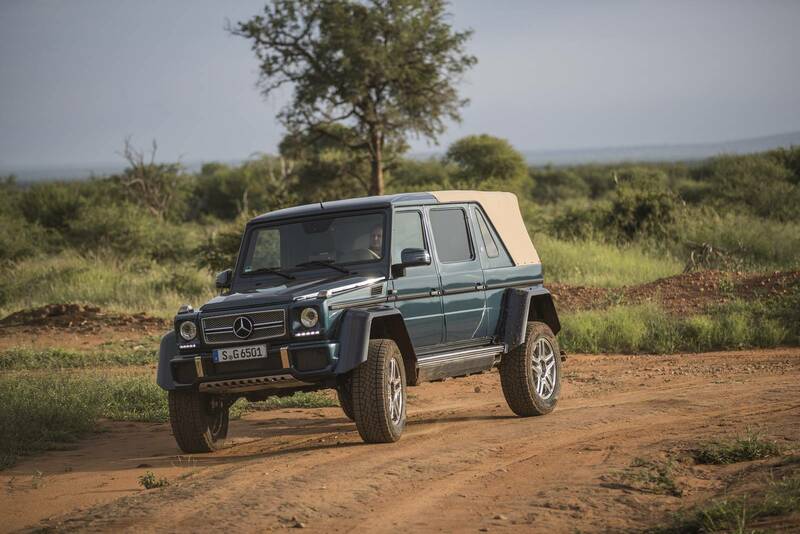 Originally conceived as a military vehicle, with the civilian version little more than an afterthought, it has become a fashion item par excellence, coveted by the rich and famous all over the globe. 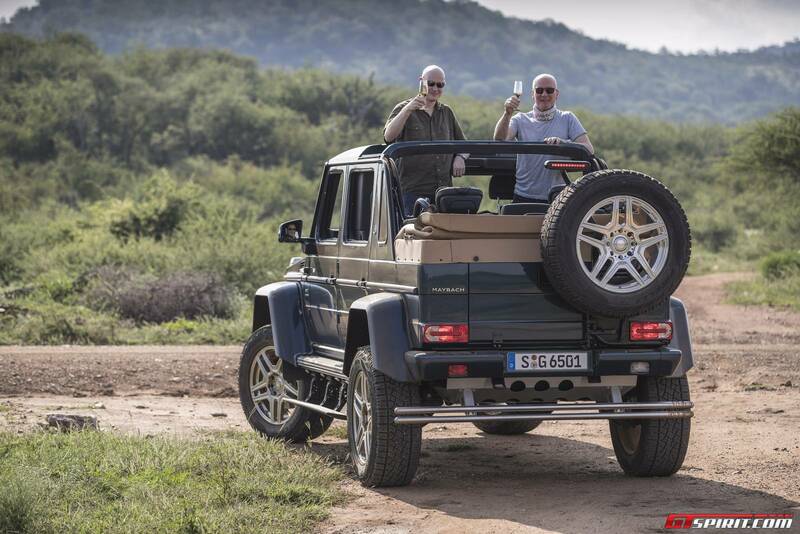 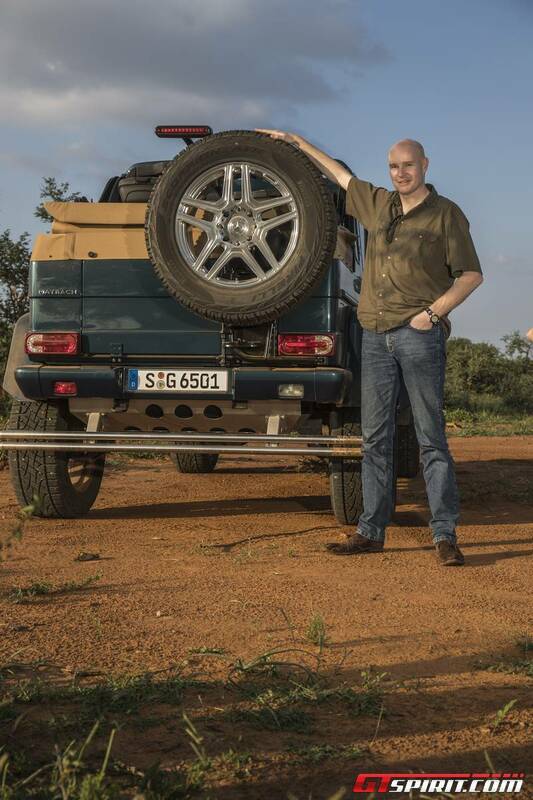 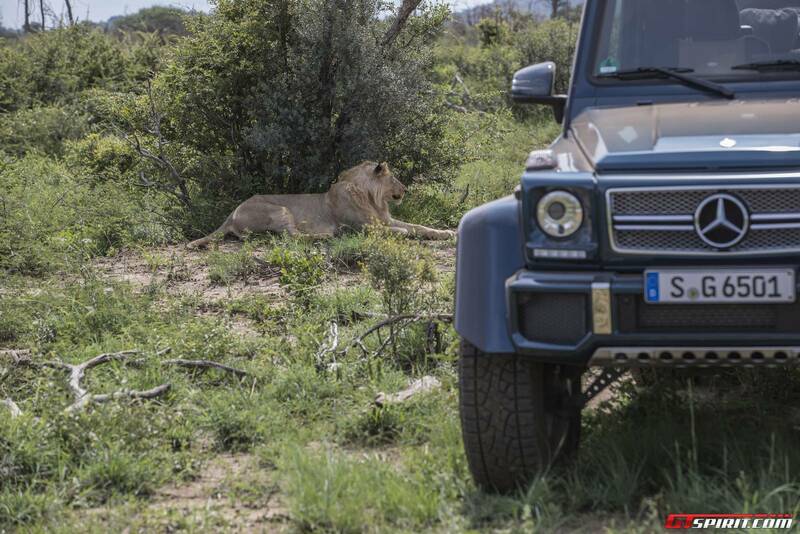 It’s a tough act to top a G-Wagen (or G-Class, as the Daimler marketing guys insist). 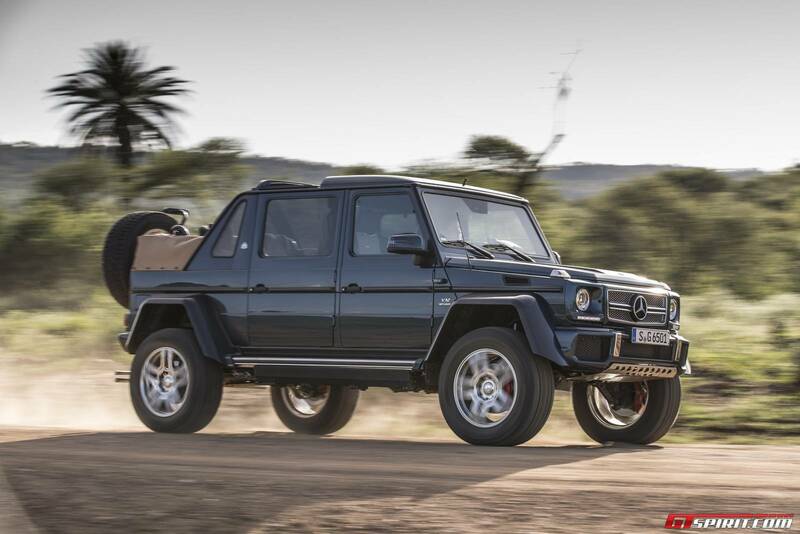 In fact, the only way it can be accomplished is by creating an even more extreme version of the same car. 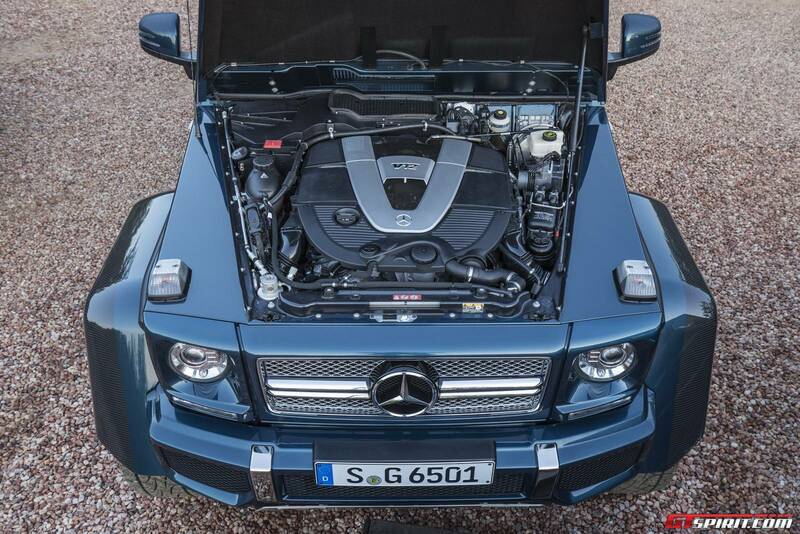 In 2013, the G63 6×6 AMG took away the auto community’s breath; well over 100 were built, far beyond projections. 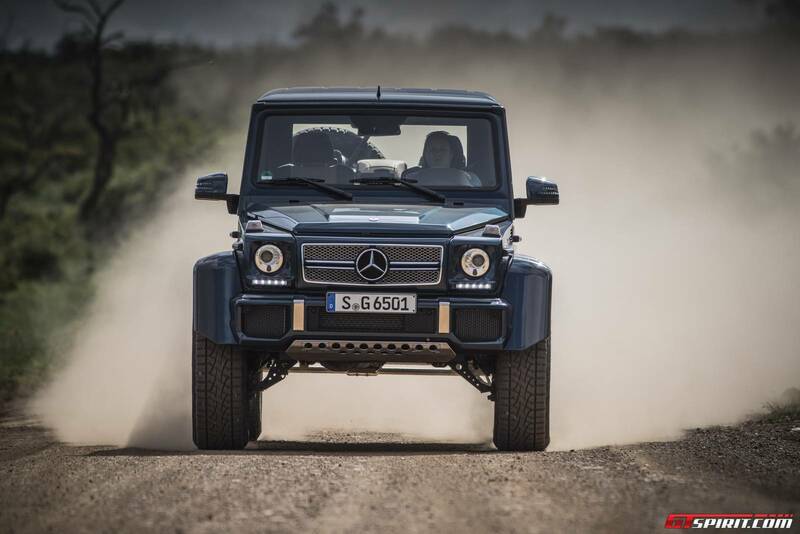 In 2015, Daimler fitted the G500 with the new, AMG-GT-derived 4.0-liter V-8, and added the Unimog- and 6×6-inspired portal axles. But this year’s masterpiece, while devoid of a third axle, has set out to beat them all: Meet the Mercedes-Maybach G650 Landaulet. 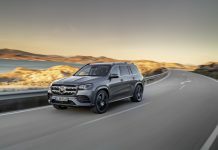 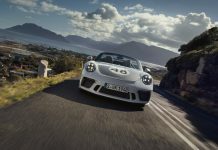 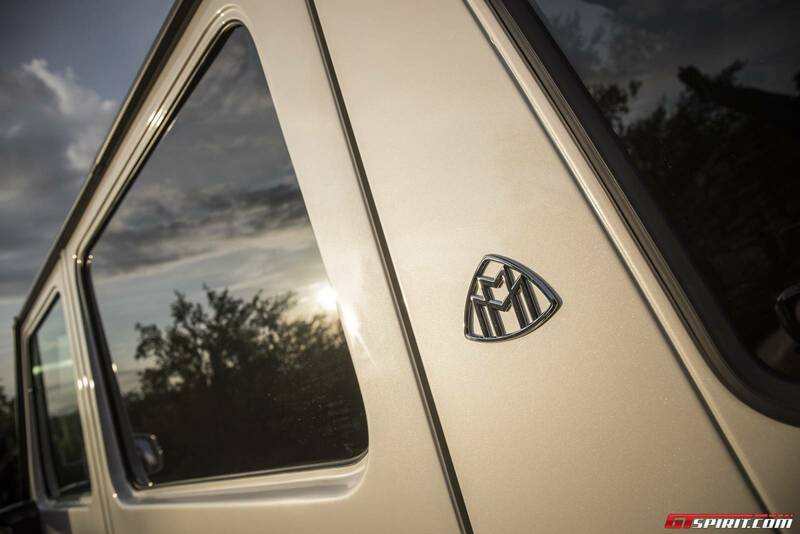 The model designation already gives away part of the story: The engineers stretched the wheelbase by 22.8 inches, took the portal axles of the aforementioned special editions, added the “first-class” rear compartment of the Maybach S-Class, and fitted an updated version of the power-operated fabric top that was purged from the regular lineup four years ago. The engine under the hood dwarfs both the G63 6×6 and the 4×4-square: This G-Wagen is fitted with the ultra-powerful 6.0-liter V-12 that powers the AMG G65. 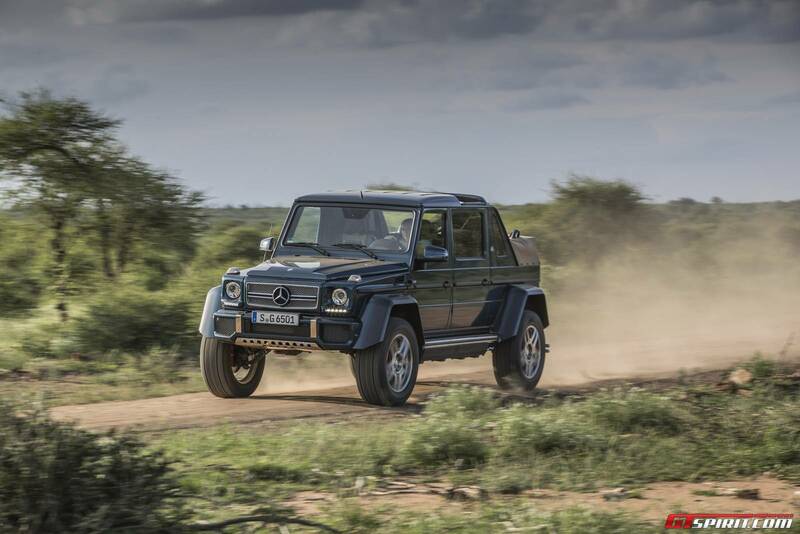 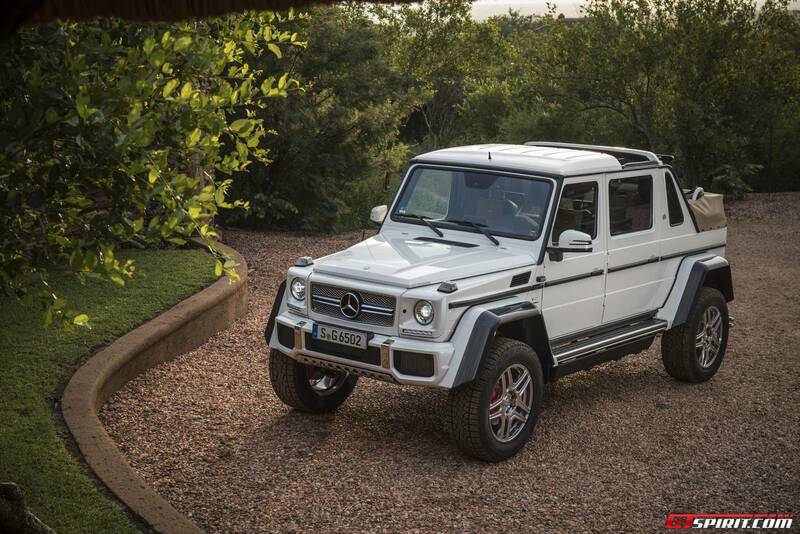 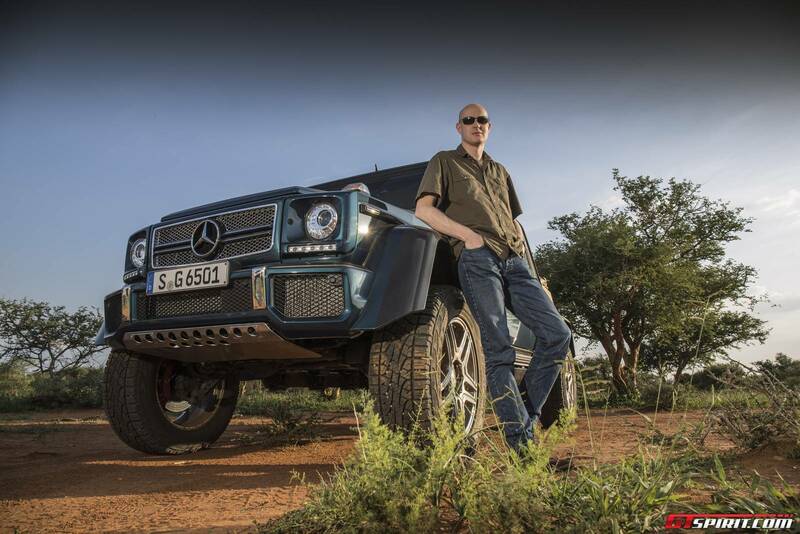 While the straight-line performance of this G-Wagen is impressive, its off-road capabilities are truly incredible. 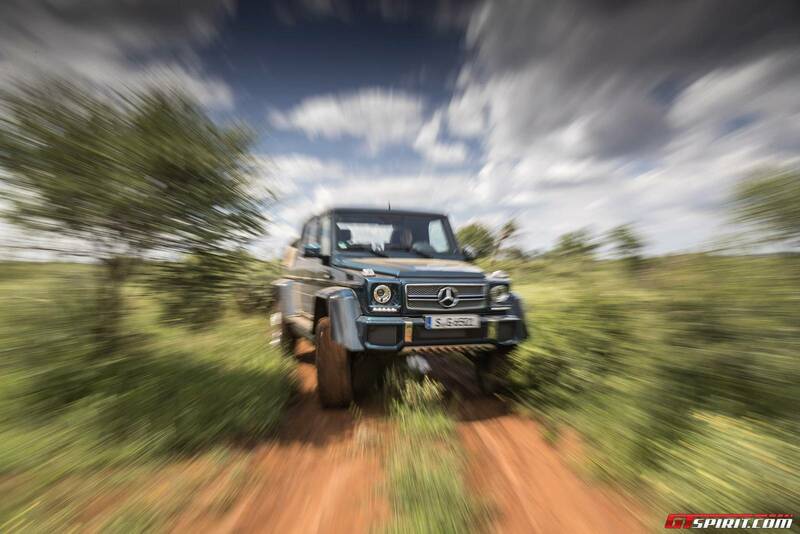 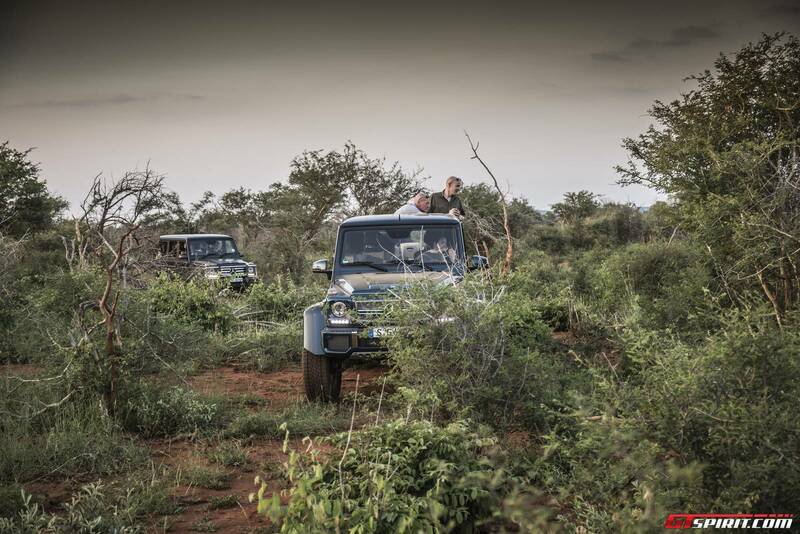 With 325/55 R22 tires and a clearence of a full 45 cm, there are plenty obstacles that you simply drive over. 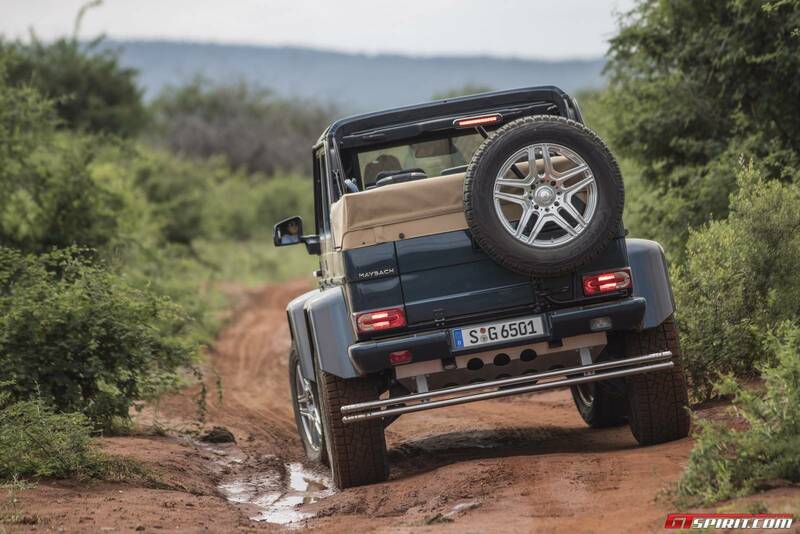 Like on every G, a low-range transfer case and three differential locks are standard. And there is yet another area where this off-roader is second to none: We are talking about the rear seats, the ultimate lap of luxury. 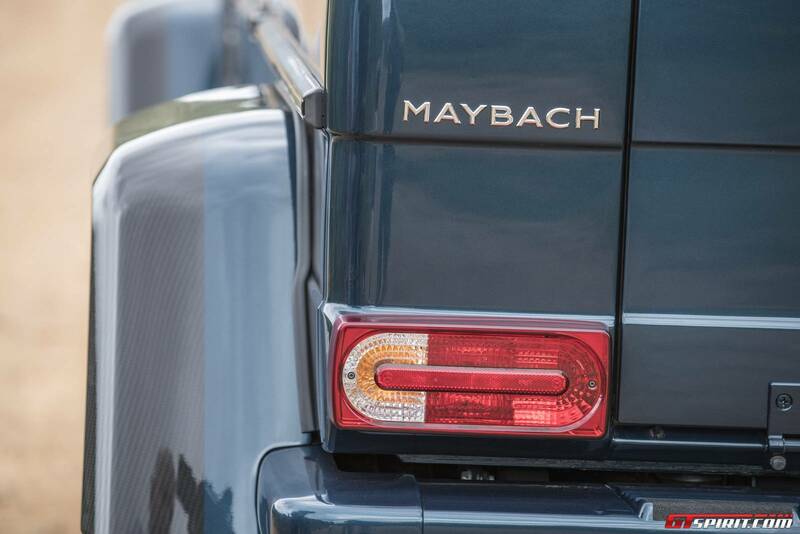 The “first-class” Maybach seats and the folding tables are a familiar sight from the Maybach S-Class, as are the massive, silver-plated champagne flutes by Robbe & Berking. 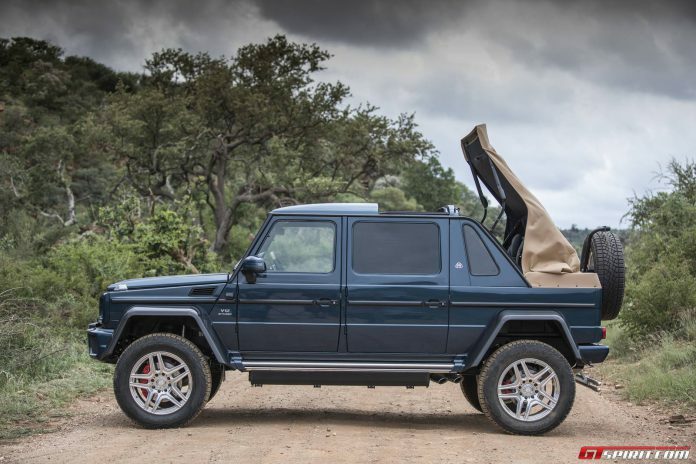 On top of that, there are two glove compartments and a center console taken straight from the G-Wagen’s cockpit, an electrically operated partition that switches from transparent to opaque – and no less than eight handles to grab. 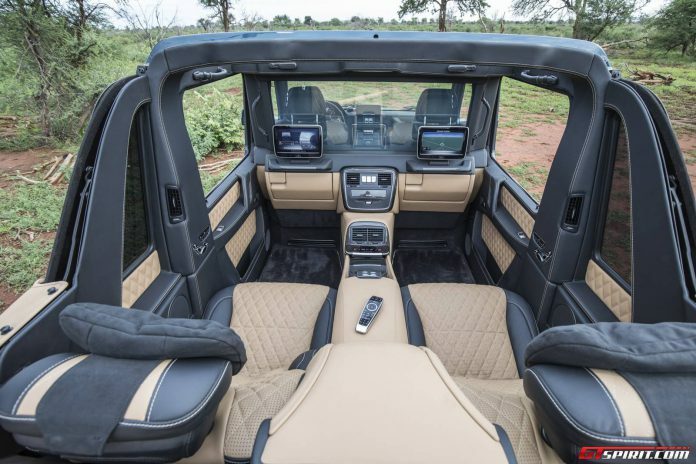 You will need them when you fold down the power top and stand up to scout your surroundings. 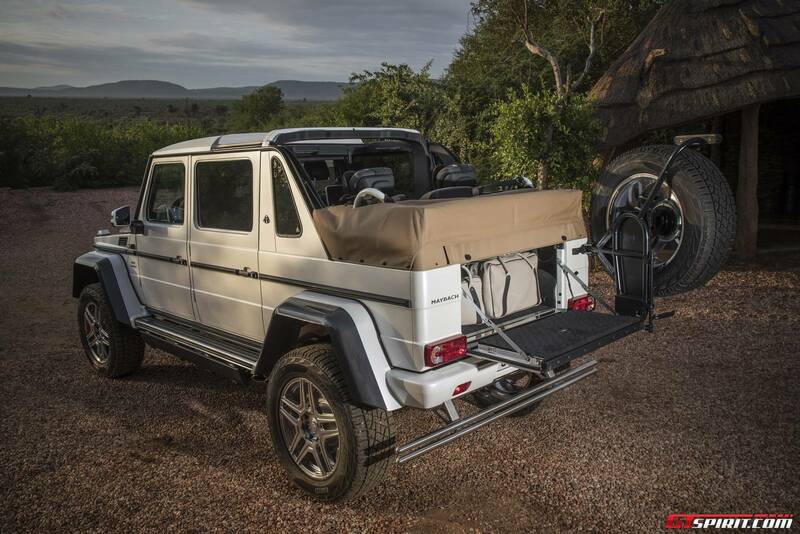 The window frames are fixed – that’s what turns this G-Wagen into a Landaulet – but there is plenty of fresh air coming into the rear compartment. 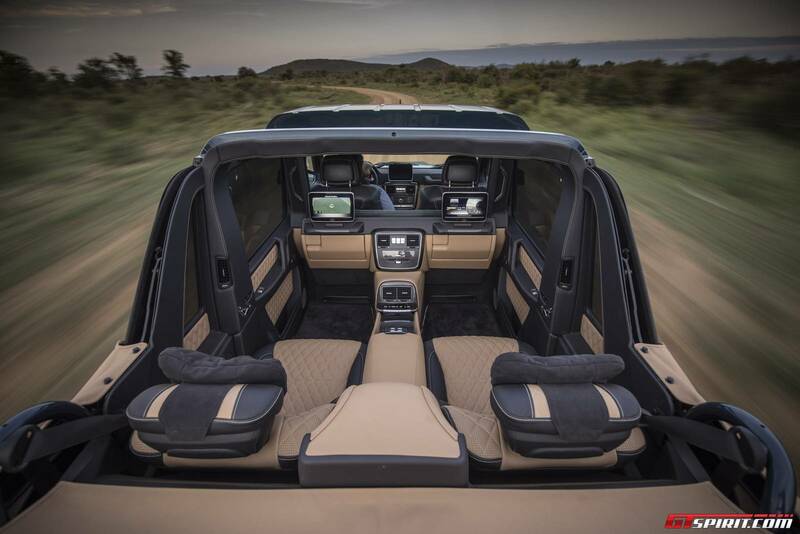 The cockpit, by contrast, is not exactly pedestrian – but it is almost identical to a regular G-Wagen, albeit , of course, a fully optioned one.